Welcome to historic Deering, New Hampshire. 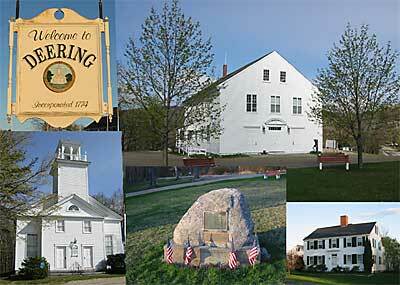 Granted in 1774 by Governor John Wentworth, the town was named Deering, the family name of his wife, Frances Deering Wentworth. At the time of the Revolution, John and Frances Wentworth left for Nova Scotia, then went to England, where Frances became a lady-in-waiting to Queen Charlotte, wife of George III. 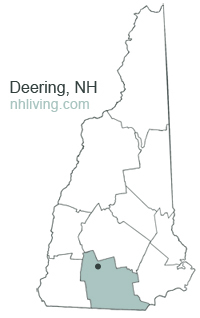 Deering has many trails and state parks right in the area. Not far from Deering is Pats Peak Ski Mountain for people to enjoy winter recreation. There are plenty of small rivers, and lakes around that offer fishing and canoeing. 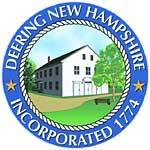 To share any Deering, NH information with us, please contact us. Learn more about advertising in NHLiving.